War Resisters’ International, which is based in London, stopped withholding a portion of its employees’ paychecks for war taxes. They are hoping, along with the Peace Tax Seven, to force some sort of legal recognition of conscientious objection to military taxation. They’ve recently published on-line the letter they sent to Inland Revenue explaining their tax resistance. Fernando Gale Cartland, in his 1895 book Southern Heroes: The Friends in War Time , tells how Quakers in the Confederate states coped with the military draft, exemption fees, and war taxes. Orders from the Adjutant and Inspector General’s office, 1862 . Sec. Ⅶ. Friends, Dunkards, Nazarenes, and Mennonites. All persons of the above denominations, in regular membership therein on the 11th day of October, 1862 , shall be exempt from enrollment on furnishing a substitute, or on presenting to the enrolling officer a receipt from a bonded quartermaster for the tax of five hundred dollars imposed by act of Congress, and an affidavit by the bishop, presiding elder or other officer whose duty it is to preserve the records of membership in the denomination to which the party belongs, setting forth distinctly the fact that the party, on the 11th day of October, 1862 , was in regular membership with such denomination. The affidavit must be taken and certified before a justice of the peace or other officer appointed by the law of his State to administer oaths, and his authority to administer oaths must be certified by the clerk of a court of record, under the seal of the court. All assistant-quartermasters to whom the said tax is tendered will receipt for it, and pay the same into the treasury of the Confederate States without unreasonable delay. The enrolling officer will receive the receipt and forward it to the commandant of conscripts, by whom it will be forwarded to the quarter master-general, who will charge the assistant-quartermaster with the amount received by him. We have had the subject under serious consideration, and while in accordance with our last yearly meeting we do pay all taxes imposed on us as citizens and property-holders in common with other citizens, remembering the injunction, tribute to whom tribute is due, custom to whom custom, yet we cannot conscientiously pay the specified tax, it being imposed upon us on account of our principles, as the price exacted of us for religious liberty. Yet we do appreciate the good intentions of those members of Congress who had it in their hearts to do something for our relief; and we recommend that those parents who have, moved by sympathy, or those young men who, dreading the evils of a military camp, availed themselves of this law, shall be treated in a tender manner by their monthly meetings. Notwithstanding this declaration of the yearly meeting, many of the members did, sooner or later, pay the exemption tax; and the yearly meeting, having officially cleared itself of responsibility, was not disposed to censure those who felt freedom of conscience so to do. We may recognize how great a temptation it was thus to purchase freedom from prison and severe suffering, when we consider that, on account of the depreciation in the value of Confederate money, the tax demanded was finally not more than the price of a barrel of flour or even of a pair of boots. There were, however, many Friends who would not purchase their liberty, even at so small a cost. Their consciences were unyielding, and rather than disobey what they understood to be God s command to them, they chose to suffer persecution, yea, death itself. Upon these, therefore, and upon those who joined Friends meetings after the exemption act was passed the trial came most severely; and the test to which the principles of Friends were put in this particular exceeded in severity any ever known, even that of the great Irish rebellion in 1684, during which the lives of only two Friends were taken, and they had sacrificed their principles and resorted to arms. Two brothers, Thomas and Amos Hinshaw, and two Barker brothers, Cyrus and Nathan, their cousins, were conscripted at the same time and together taken to High Point, N.C., then the nearest railroad station to their home, thirty-two miles away. These men were obliged to make a hurried march before the gun and bayonet. Thomas Hinshaw’s wife knew that he would need food and clothing, so she quickly prepared them and started on foot to overtake the company, which she did near her father’s home, two miles distant, where she took leave of her husband and returned to her home and little ones, who were now dependent on her efforts for support. Faithfully she ploughed the fields, hoed the crops, and cared for the home. Our Friends with many other conscripts were hurried away to Camp French, near Black Water, Virginia. At Weldon more men were taken on board, and they were so packed, like cattle in freight cars, that they could only rest themselves by sitting on one another’s knees. They were not furnished with food or water for nearly twenty-four hours. The food which was brought by Thomas Hinshaw’s wife was generously shared with his friends, and was a great help to them. Our four Friends refused to make choice of any part of the service, and were consigned to the 52nd North Carolina regiment, General Pettigrew’s brigade. They were at once offered equipments and required to drill, but were unanimous in declaring their peaceful principles. The officers, really desirous of favoring them, entreated them to pay the commutation tax, and told them their money should be used for civil purposes only; but they plead that religious liberty was one of the principles of their forefathers, that freedom of conscience was the inherent right of men, that war and fighting are contrary to the commands of Christ, and that liberty of conscience and freedom to obey Christ should not be purchased with money. They would therefore suffer cheerfully the penalty of the law, which they could not, for conscience sake, obey. We were notified of our conscription and ordered to camp, but we did not choose to go, and remained quietly about our own affairs. Soon, however, the militia colonel appeared and took us from our work in the fields to the camp at Raleigh. We stated our reasons for not answering the summons, and told the officers we went as prisoners and not as soldiers. Arriving in Raleigh April 4th, 1863 , we, with a neighbor named Reynolds, were ordered to go at once to get wood for the use of the camp. This we declined to do, for we considered that by so doing we would commit ourselves to further military requirements. The officers then ordered soldiers to drive us into the service with bayonets, swearing that they would make examples of such men before they would have their orders disobeyed. We told them we meant no disrespect to them as men or officers, but that it was in obedience to a higher authority that we felt that we must refuse to obey orders that conflicted with the laws of God. We were left in camp over night, and the next morning were ordered to similar work, but declining, were told that they would soon bring us out of our religious notions. The enrolling officer of the company told us that over $20,000 had been paid to him for Quaker taxes by Orthodox Quakers, and they would subdue us before they had done with us. We were assigned with Wenlock Reynolds and another Friend to a battery of artillery. Military clothing was given us but we declined it. We were sent at once to Kinston and placed in a battery of horse-artillery. Next day we were all three ordered to drill with the rest, but refusing to take arms, we were told by the lieutenant to consider ourselves under arrest for disobeying orders. Much curiosity was aroused among the men, many of whom could not seem to realize that religion had anything in it to justify exemption from military duty, in a case of necessity like this; and one said: “He that protects not his house has denied the faith and is worse than an infidel.” To this I replied that the Scripture did not read in that way. He insisted that he had quoted it correctly, but, taking a New Testament from my pocket, I soon proved him wrong. He said that “provide” meant the same as “protect,” anyway. I told him to apply to the dictionary and he would find the meaning very different; that we believed it our duty to “provide things honest in the sight of all men,” but when called upon to protect, in the sense in which he used the word, it was contrary to the precepts of Christ, who with his disciples taught that we should “resist not evil,” “do violence to no man,” “they that take the sword shall perish with the sword,” “be not overcome of evil, but overcome evil with good,” etc. One man called out: “That man is right; it is as he says,” and thereupon they grew divided among themselves, and the officers became angry and ordered us up to the general’s headquarters. General Ransom had been informed of our position, and meeting us at the gate of his office said that he was a man of decision and would have “no equivocations nor prevarications” from us; as to our religion, we should not bring that up, for he knew as much about that as he cared to know. His decision was already made. We could go on duty under arms, pay the tax settled upon, or go to the salt-works, and he would give us as much time as we wanted to make our decision, but under the following circumstances: to be shut up in prison under guard, without one morsel of anything to eat or drink, or any communication with any one until we complied with his orders. We were then taken to the provost-marshal’s office to receive the execution of our sentence. He advised us to pay the tax, as it was a great privilege which thousands would gladly avail themselves of. We told him that to us it was not a matter of dollars and cents; that this had no bearing with us; it was a matter of principle, in which our religious liberty was interfered with. Wenlock Reynolds concluded, however, to pay the tax and was discharged. But my brother and I could not feel free to do so and went to the prison to share alike our fate. The captain of the guard seemed at first harsh and rough in his manner, but a little incident, small though it may seem, took hold of his feelings. After committing us to the room and charging the guard in our presence to keep us with all diligence, he told them not to allow any communication between us and any one else, nor to allow us to have a morsel of any thing to eat or drink, as the general had ordered. We were impressed that it would be right to make a full surrender and to trust wholly to a kind Providence, so we told him we had some cakes and cheese in our valises, that had been furnished us by our wives at home. We then opened the valises and showed him before the guards what we had, and told him if it was right to execute such a sentence, he could take them. “O!” he said, “I guess you might keep that,” and he seemed very tender, but looking at the guards who were looking at him, there seemed no way for him to evade the command he had received and given, and so they took the food away. This circumstance undoubtedly had its effect in opening the way for future results. The captain did all he could for us, and thought we had better yield a little, even at some compromise of principle. He said that Ransom was a hard general and would see us perish before he would reverse his decision. Numbers became interested, and Walter Dunn, the provost-marshal, came in to see us; he labored hard to persuade us that we were in error in trying to keep to principles that our own church did not contend for; that he had taken pains to inform himself and we were about all who were giving the authorities trouble because of religion; he said Wenlock Reynolds had paid the tax, and why couldn’t we; that we were not subordinate to the decisions of our church at large. I then took from my pocket a copy of the last yearly meeting’s minutes and showed him the recorded decisions of that body. He paused for a while, and then said that we could not see alike, and it was better to compromise these little prejudices, or opinions, especially when calamities were upon us. I told him we had no right to compromise with wrong; we ought to obey God rather than man; and we should not do violence to an enlightened conscience. All his arguments were answered in a way that was interesting, if not satisfactory to him, and he then began to inquire into our condition as prisoners, concerning which he manifestly felt anxious. He asked if we had not partaken of food or drink since we were put in jail, and we were able to answer him that we had not, which he seemed to wonder at, asking over and over particularly. It may be that he suspected the guards had been feeding us, for we had now been over four days without food or water, and there was a growing feeling of anxiety concerning us. The evening before the visit of the marshal, while we were feeling somewhat thirsty, copious showers of rain fell, and we could have caught water from the windows as it fell from the eaves of the building. My first thought was, “that water is providentially sent,” but I felt restrained from taking any of it. Arousing my brother, who had fallen asleep, I asked him about it, and he said he thought we had better not. So we went to sleep again. Had we kept the cakes and cheese or caught the water, we could not have given the answers we did to the officer’s questions, and this fact seemed more to impress him in our favor than anything else. One day a sergeant came in, saying we were the worst men on earth: that we were committing suicide by willfully starving ourselves to death, and we would go to hell for it. I told him that he could make no such thing appear unless he could make it appear that we refused to eat, and that it was martyrdom we were suffering instead of committing suicide. At this he hung his head and went away. The chaplains and others were admitted to convince us of our supposed error and induce us to change our position. We seldom, if ever, had the second disagreeable interview with the same person. Their abuse was received with meekness, and they afterwards rewarded us with kindness. We felt remarkably preserved during this isolation from human aid, and felt but little the need of any earthly thing. The night before our release, Colonel Eaton came to our prison with half a pint of water and one spoonful of sugar in it, saying: “I have come to relieve you from this punishment. I have a little water and sugar which I am happy to furnish you.” I told him if given in a Christian spirit he would be blessed in the deed. He seemed much affected and very tender, and said he hoped ever to live in the spirit of doing to others as he would be done by. The next morning, fully five days after our confinement, a small amount of food was given us with the statement that the doctors said they must allow us but little, as much food would endanger our lives. It seemed singular that after passing such a sentence they should be so anxious to save our lives, but we soon ascertained that there was more anxiety than we supposed, and while we were favored to possess our souls in patience, the officers were much troubled on our account. We found, too, that the citizens were becoming so aroused that a plot was on foot to release us by a mob if we were not soon relieved. A Baptist minister by the name of Thome was admitted to our room soon after the sentence of starvation had been revoked. He seemed to be in the last stages of consumption, and said he did not expect to live long, but wanted to encourage us to be faithful; that he had sympathized with us during our harsh treatment, and appreciated and endorsed our peace principles; that their church originally advocated peace principles and ought to to-day, but by giving away gradually to some disaffected members, they had drifted into a form of discipline which left their members at liberty. (Cabot Powell, the Baptist before alluded to, corroborated this statement, and so did Charles Spurgeon in his lecture on George Fox.) Our friend then told us that he had become so interested in our case that he had sent a letter by private messenger to Governor Vance, and had instructed the messenger to wait in person for a reply and return with it the same night. The governor, by executive authority, had revoked and set aside the sentence of General Ransom. Your letter of September 15 , in behalf of your nephew, Tilghman Vestal, a private in the 14th Tennessee regiment, has been received. The general commanding has caused an investigation in his case to be made by the proper officer. This officer reports that on his refusal to do any duty whatever or to make arrangements to pay the fine imposed under the law for a discharge, compulsory means were used on the occasion referred to in your letter, and he was pricked with bayonets, but not to an extent to unfit him for duty. This proceeding was probably irregular, and as such not approved by the commanding general. But he knows but one proper mode of proceeding under the law, and that is to bring private Vestal before a court-martial for conduct prejudicial to good order and military discipline, in refusing to do duty as a soldier. The law makes but one distinction in the case of the Friends, which allows them all to escape military service by the payment of the fine imposed. This not being complied with by Tilghman Vestal, and he being sent by the authorities as a soldier to the army, the general commanding is compelled to act in this case as he would in that of any other delinquent soldier. We desire respectfully to present the case of Tilman R. Vestal whose Mother is a member of the Religious Society of Friends, a native of North Carolina, but now a resident of Tennessee. His father, not being a Friend, he does not come under the law allowing exemption to such, but his mother having carefully instructed him in the principles of said Society, it appears he has endeavored faithfully to maintain them. When conscribed and taken to the Western Army he was offered the privilege of the exemption Act, but declined to avail himself of it at that time, supposing that such would be the course of friends generally. He was afterward removed to the Army of General Lee, where after having endured many trials, he was finally Court-Martialed and sentenced to imprisonment during the War, for declining to perform military duty. When Vestal had opportunity of communicating with friends in North Carolina Yearly Meeting of which his Mother is a member, and learned that said meeting, had by Minute granted to its members the liberty of availing themselves of the law of exemption for non-combatants, he also wished to be allowed the same privilege. 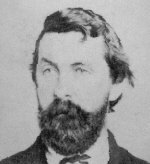 The case was brought by appeal before the Honorable James A. Seddon Secretary of War, who declined to allow him the privilege because he had once refused it. We hope it may be the pleasure of the President to allow said Vestal exemption on the payment of the tax, seeing that his refusal in the first instance to pay such tax arose from his separation from the body of the Society and ignorance of what action they had taken in the matter.